Purpose – Your cover letter should explain why the employer should hire you. It shouldn’t regurgitate your resume, but instead highlight a few elements of it. It should also encourage a follow-up. Format – Be conservative and use business letter formal. There’s no reason to be creative here. Also, keep it to one page. Content – Show the skills you’ll bring to the company by using examples from past work experiences, explain why you want to work there, and display your personality. It’s also a tool to explain why, for example, you attended law school but are applying for consulting. Customize – Since you’re competing with hundreds if not thousands of other people for the job, make sure you customize your letter to each company. Employers can tell if you spent the time and it will pay off. Review carefully – Employers are looking for any reason to ding a job applicant because there are so many. So, before finalizing your cover letter, be sure to check for typos (especially in names) and poor grammar. It’s damn hard to get that resume in the right hands, and then even harder to get those right hands to not immediately toss it into the recycling bin. Seeing as you probably spent the last four years sleeping through classes instead of working at a Fortune 500 company, your list of relevant work experience may be a bit short (or non-existent). So how do you make a convincing argument that, although you may not have the qualifications to take over the company, you are ready and prepared for the working world? That, my friend, is where the cover letter comes into play. This nifty resume sidekick fills a number of gaps that recent grad resumes often can’t fill on their own. Cover letters are one of the greatest sources of existential crises during the job-hunt. You’ve got to explain why you’re qualified to do the job, demonstrate why you want to do the job, and win the reader over with a little bit of personality…all in one page! It’s not easy, but we’ll try to make it as painless as possible. 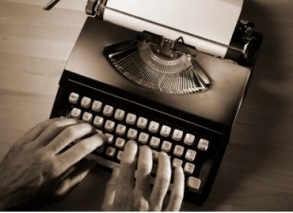 Just follow these guidelines to become the Bill Shakespeare of cover letters. Some overly aggressive jobseekers tend to value quantity over quality, sending a carbon copy of the resume and the cover letter to every potential employer, without taking the time to tailor the letter to the company. Such an approach will likely be perceived as lazy, so be sure to customize your cover letter for each job, and check out these traits to stress in different industries. What is the structure of a cover letter? Punch “cover letters” into Amazon and you’ll find over 30 books written on the subject with names like Cover Letters that Knock ‘Em Dead. But the nuts and bolts are pretty straightforward, and the rest of it is just colorful personal details that you drop in at opportune moments. Here’s a basic structure that should get you where you need to go. Format: You can stand out with your words, not by presenting your letter as an E.E. Cummings poem. The cover letter should always follow a strict business letter format. Heading: Whenever possible, you want to address your cover letter to an actual human being. Headings like “To Whom It May Concern” and “Dear Hiring Manager” should be used only as last resorts. If you aren’t given a name off the bat, do a little research. Applying to a magazine? Check the masthead for the editor’s name. If it’s a large office, try calling HR, telling them what job you’re applying for (you don’t have to say who you are), and asking for a specific name within the department. The personal touch will show that you are resourceful and that you care enough to figure out whom you are dealing with. Paragraph one: What are you applying for and why? What position are you writing about? Second Paragraph: What have you accomplished in your life that is relevant to this job? Cover letters are self-marketing tools. The cover letter should answer the reviewer’s question, “Why should I hire this person?” Even though you spent hours perfecting your resume, it doesn’t tell the whole story—this is where you’ve got to lay it all out clear as day. Indeed, cover letters are particularly useful when you’re switching focuses or going into a field where you have no background. Why do you want to go into marketing after doing pre-med? Why do you want to do non-profit work after i-banking? The cover letter is where you explain how, in your life, 2 and 2 actually do make 5. So what experiences count? Because you are most likely applying for entry-level positions, you’re not expected to have a long list of job experience to back up your “pick me” argument. You can include academic and related extracurricular accomplishments (awards, theses and major projects, commendable grades, internships, even the completion of relevant courses) to fill the work-experience gaps. You should consider the things you did that made you proud, and then explain what skills you took from them and how those skills make you more qualified for the position. Having a sense of the company’s culture and what they value is important when you’re pitching yourself as a good fit. The company’s mission statement (often somewhere on the company website) is a good starting point. But you should also try to go deeper. Search for recent news about the company and the reader on Google, the New York Times, and the Wall Street Journal. Using industry-specific lingo could increase credibility, but only if you truly understand the lingo you’re using. It’s just as easy to make a fool of oneself when trying, and failing, to sound knowledgeable. Damn lies. Lies don’t belong on a resume and lies don’t belong in a cover letter. It was hard enough trying to talk coworkers out of wanting to see my Olympic silver medal for curling (it’s somewhere in some box, I haven’t unpacked yet, okay?). Third paragraph: How do you match up, why do you want the job, and why should you get it? Tie up your experiences and interests to convince the reader that you are the man or woman for the job. Show the employer that you are enthusiastic and passionate. Don’t say, “If I don’t get this job, I will literally kill myself!” But give a strong indication of why the job interests you and what you hope to get out of it. When you sign off, be sure to reiterate your contact information, thank the reader for taking the time to consider your application, and encourage a follow-up. Finally, proofread many times over and run the letter by some people your trust before sending it in. Do you know anyone in the industry who might have an insider’s perspective? Some college career centers offer cover letter help to their grads—if the resource is available, why not take advantage of it? Check out more Cover Letter Dos and Don’ts. I have such a hard time writing cover letters - I never feel like I can say everything I am supposed to say without making them too long. Anyone else?